Christine Joy “CJ” Escobar, a native of the Philippines, and Catherine Zuzarte, a first-generation Pakistani-American, often feel torn between the lands of their parents and their American community. 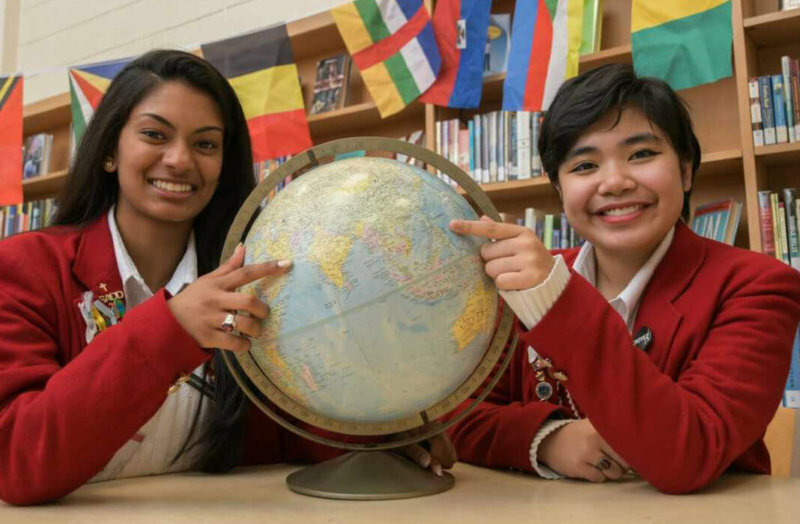 At Baltimore’s Mercy High School, however, they always felt at home. Both young women donned uniform blazers with lapels filled with pins, signifying various activities and awards. Along with Ashley Wagner, both were named as Mercy’s Archdiocese of Baltimore Distinctive Scholars. Zuzarte, the daughter of Christine and Edward Zuzarte, is a parishioner of St. Joseph in Fullerton. Born in South Carolina, she moved to Baltimore at age 1. She is headed to the University of Maryland in College Park, to study physiology and neurobiology, with plans to attend medical school. Escobar, the daughter of Clara and Rolando Escobar, was 5 when she moved to the United States from Cebu, Philippines. A parishioner of Sacred Heart in Glyndon, she plans to study computer science and music composition at the University of Maryland Baltimore County. Zuzarte, who served as senior class president, said she sometimes feels disconnected as a first-generation American. Her parents, for instance, speak Urdu; she does not. It requires “a weird balance between two cultures,” said Zuzarte, who participated in Mercy’s First Generation Club. Escobar, meanwhile, said, “I do experience culture shock,” both in the Philippines and in this country. Things such as food and language make her feel different though she finds Filipino food can be a comfort, too. “It’s nice to have a little home here,” she said. Zuzarte knows high school students can sometimes be rude to people who seem different – but not at Mercy. “Everyone’s accepting of (different) cultures around here,” she said. Escobar selected Mercy sight unseen after Catholic High School Night at her parish school in Glyndon. “I never even had stepped on campus. I already felt a very welcoming atmosphere,” she said. Escobar found her place in music. A voice, piano and guitar student, she participated in the Madrigals and the Ensemble Players. “That’s one of the places I felt the most unity,” she said. Zuzarte ran indoor and outdoor track all four years and cross country as a junior and senior, captaining all three teams. “We got really close,” she said of her athletic teammates. In the Women in Medicine program with Mercy Medical Center, Zuzarte’s project focused on destroying the stigma of mental illness. “Catherine is a natural leader taking on numerous roles within her class and within the school. Her peers gravitate to her, especially enjoying her kind spirit and loving soul,” said Nancy Uryasz, science department chair. 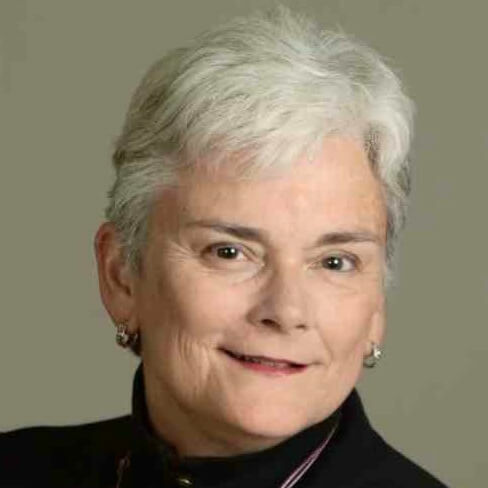 Mary Tilghman is a freelance contributor to the Catholic Review who previously served as managing editor, news editor and staff writer for the Review. A parishioner of St. Ignatius in Baltimore, she and her husband have three adult children. Her first novel, “Divided Loyalties” (Black Rose Writing), a historical novel set in the aftermath of the Battle of Antietam, was published in 2017.